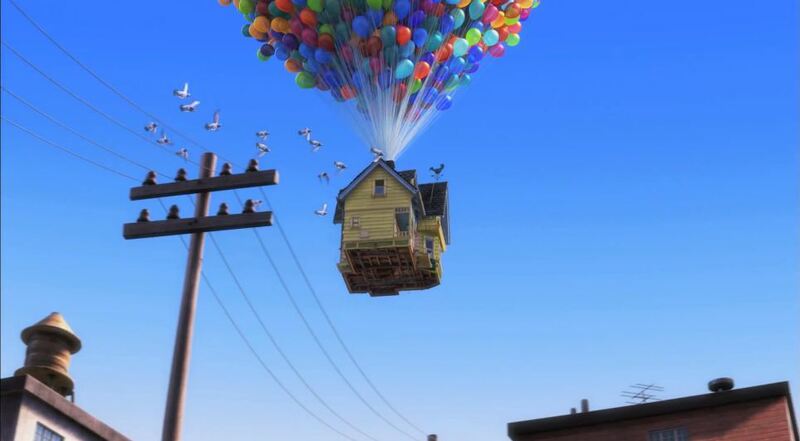 A cluster-balloonist who became the first person to fly the English Channel has launched a house into the sky just like in the Disney movie 'Up'. 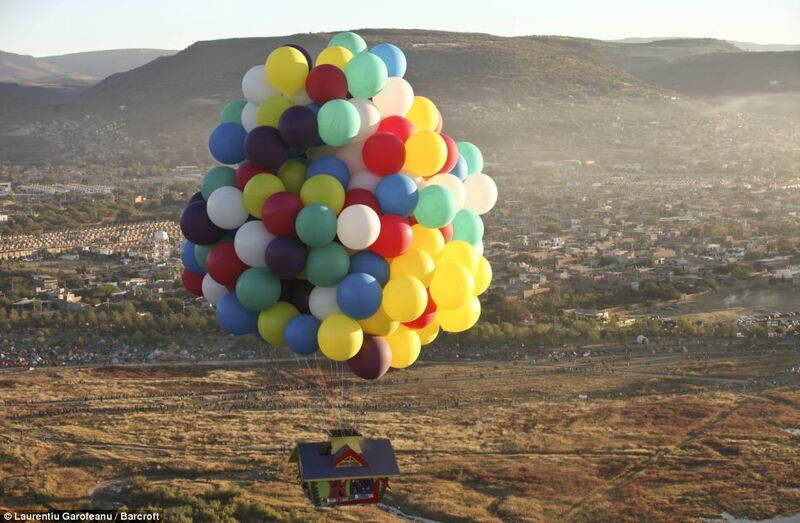 Trappe, from Raleigh, North Carolina, stepped into the cartoon themed home before soaring above the Leon International Balloon festival in Mexico yesterday. 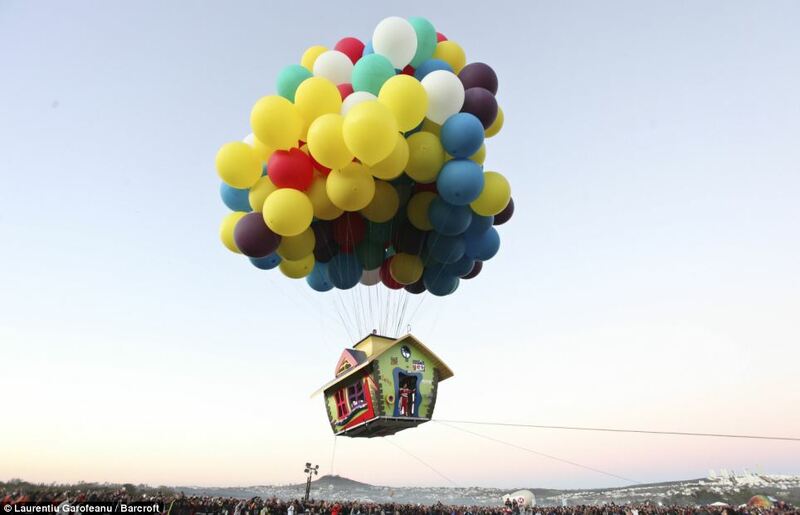 Trappe was using the event as a warm-up for his planned trans-Atlantic flight scheduled for next summer. 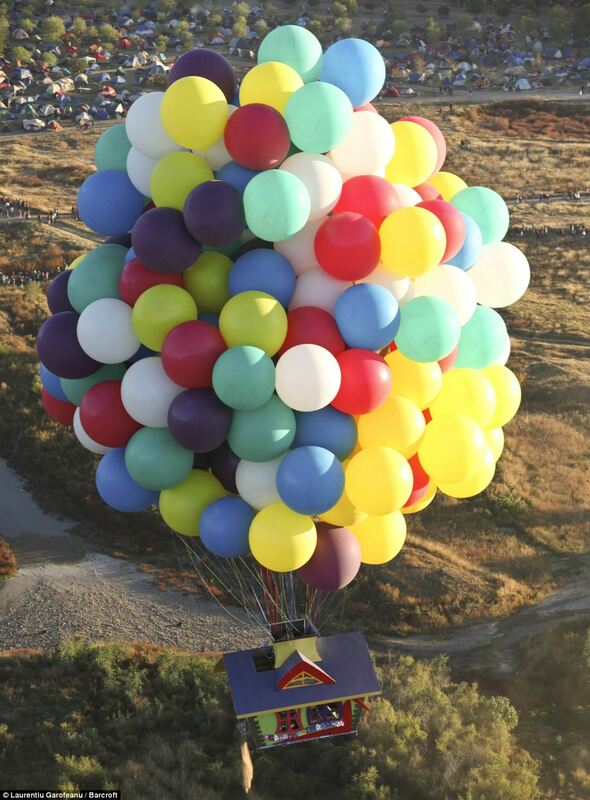 He aims to complete the 2,500 mile journey across the pond in a seven foot lifeboat carried by 365 huge helium balloons. Trappe has invested $170,000 into his Atlantic dream, for which he's been training his whole career, and now he's launching a site so ordinary people can play their part this amazing adventure. The daredevil, is learning to sail a lifeboat, in case he needs to ditch into the ocean during the danger-filled mission. 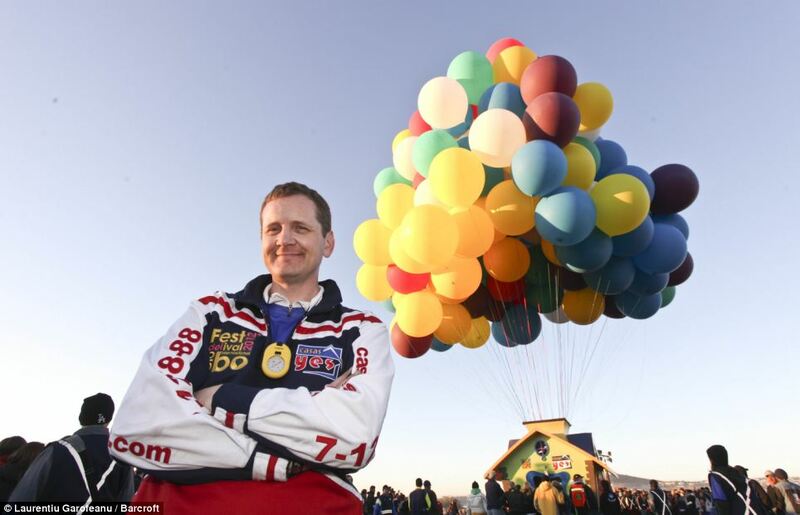 He will fly at between 18,000ft and 25,000ft, beating his previous world altitude record of 21,600ft, and must fly uninterrupted a distance ten times longer than his previous world record of 230 miles in order to succeed. 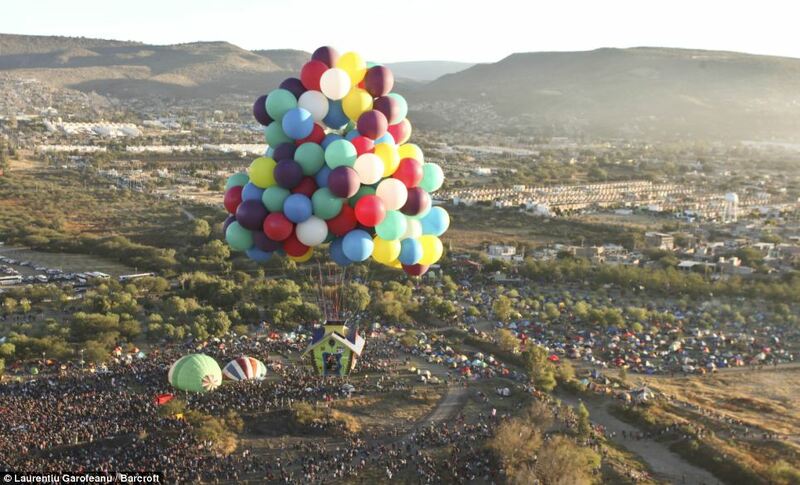 The adventurer, who holds records for crossing the Alps, flying the most cluster balloons, and the longest distance, has spent his entire career building up to the momentous expedition. 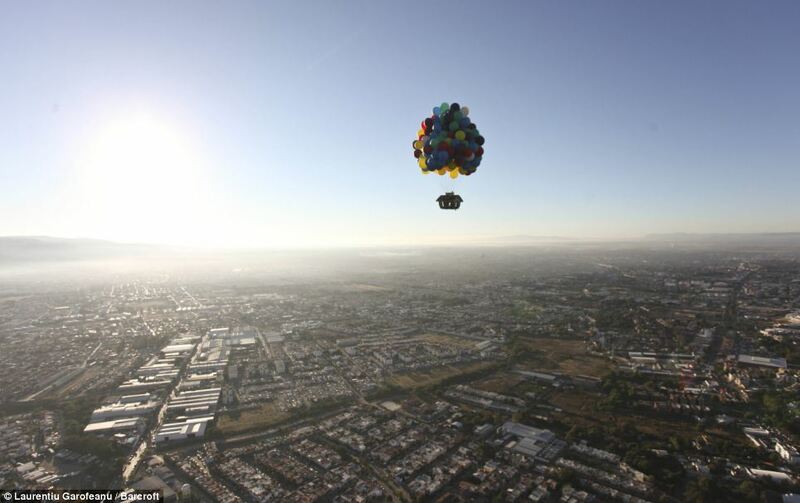 In May 2010 Trappe became famous worldwide when flew from England to Belgium dangling from scores of helium balloons. 'It's about living an interesting life - for me as the pilot and those watching,' said Trappe.